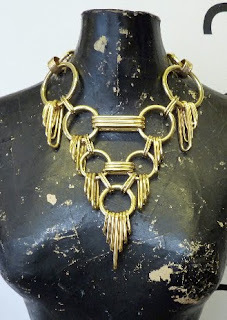 Scott Wilson contributed this necklace for the book launch at Colette. • Scott lives in London and has a really cute studio which is much smaller than you’d imagine, give his prolific output. • Scott has an MA in womenswear and millinery from the RCA. He is known for making beautiful pieces that blur the line between headgear and jewellery. 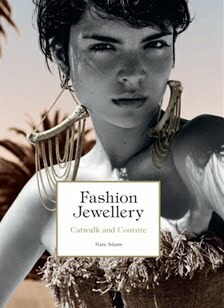 • The model on the cover of my book is wearing a pair of Scott Wilson earrings made specially for a shoot in iD.